VANDENHOVE is an interfaculty study center in which the Department of Architecture & Urban Planning (FEA) and the Department of Art, Music and Theater Studies (FLW) work together for education and research in the field of architecture and the arts. The central focus is the study of art collections, exhibition history and exhibition architecture. The Vandenhove collection and the university patrimony form the basic material for the preparation and realization of study exhibitions. VANDENHOVE is located in a building designed by Charles Vandenhove. It has an auditorium, a studio and an exhibition hall. The auditorium is also used as a promotion room. 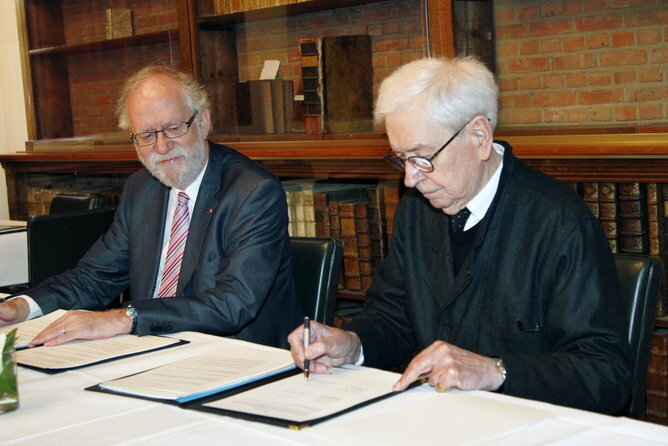 After first contacts in the autumn of 2011, and an agreement signed on 12 November 2012, the Liège architect Charles Vandenhove donated an important collection of artworks to Ghent University in 2016. He also provided the means to realize a building for a study center. For this purpose, UGent has made available a site next to Henry van de Velde's Book Tower. The artworks, entrusted by Vandenhove to the private foundation Studiecentrum Architectuur & Kunst (STAK), were donated to the University on 29 November 2016. The building, designed by Charles Vandenhove and Prudent De Wispelaere in 2012, was realized for STAK by Bureau Bouwtechniek and construction company Denys, and was completed at the end of 2017. The building was opened and the activities started on 15 February 2018. Charles Vandenhove (1927 °) is one of the most important and influential Belgian architects from the post-war period. He realized numerous remarkable public buildings for and housing projects in Belgium, France and the Netherlands, including the Institut d'Education Physique and the CHU, the university hospital of the University of Liège, the Hors-Chateau site and Hotel Torrentius in Liège, the renovation of the Muntschouwburg in Brussels, Théâtre Des Abbesses in Paris, the Palace of Justice of Den Bosch and the Town Hall of Ridderkerk. 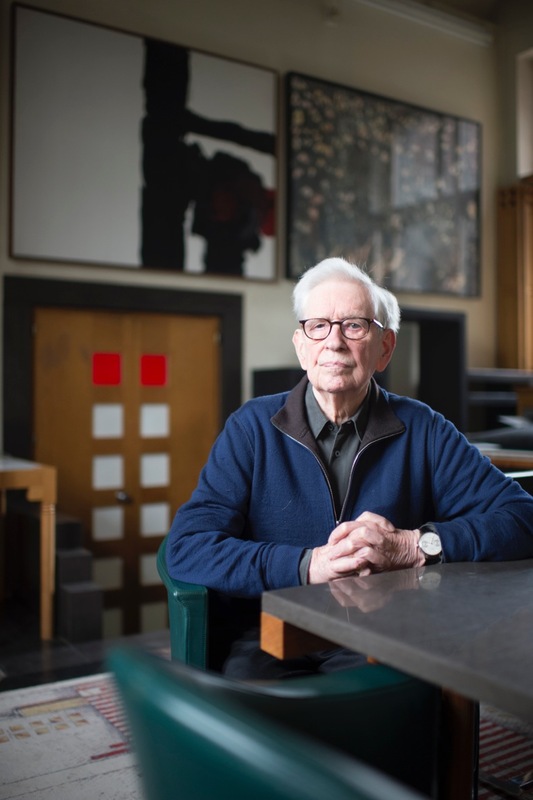 Characteristic of his oeuvre is the close collaboration with artists such as Daniel Buren, Sol LeWitt, Sam Francis, Niel Toroni, Leon Wuidar, Giulio Paolini, etc. The work of Vandenhove is internationally recognized, and has been frequently exhibited and published. About ten books have been published about his oeuvre, and the buildings have been included in the large overviews of European architecture.